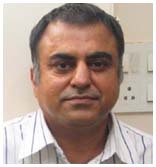 2007 – Peers, Faculty of Fine Arts, Baroda. 2006 – Peers, Gallery Espace, New Delhi, Kalakriti, Hyderabad. 2004 - Portraits, Guild Art Gallery, Mumbai. Karnataka Chitrakala Parishat, Bangalore, Gallery 88, Kolkatta. 2006 – Avatars of the Object, curated by Nancy Adajania, Guild Art Gallery, Mumbai. 2005 – Still Waters Run Deep, Hacienda Gallery, Mumbai, curated by Jasmine Shah Varma. 2004 – Iconography in Transient Times, India Habitat Centre, New Delhi, curated ny Marta Jakimowicz. 2003 – Ways of Resisting -1992-2002, Rabindra Bhavan, New Delhi, curated by Vivan Sundaram. 2000 - The Pink Sun, [Making an Entrance], curated by Ranjit Hoskote, National Gallery of Modern Art, Mumbai. 1999 - Wallpaper, Lakeeren, Mumbai. 1999 - Works on Paper, Fine Art Resource, Pavement Gallery, Kalaghoda, Mumbai. 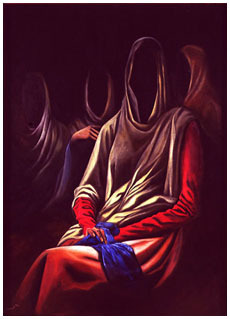 1999 - Watermark, Fine Art Resource, Jehangir Art Gallery, Mumbai. 1998 - Art Access Week, Birla Academy of Art & Culture, Mumbai. 1998 - Miniature Format Show, Sans Tache, Mumbai. 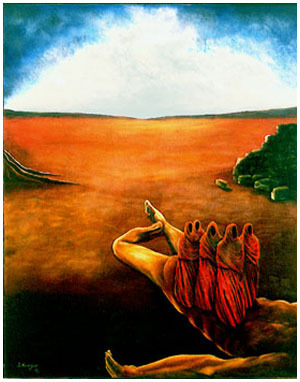 1998 - Art for Ashraya, Dubai, Bangalore. 1996 - 12 Indian Contemporary Painters, Fine Art Resource, Jehangir Art Gallery, Mumbai. 1995 - Bombay, curated by RPG, Jehangir Art Gallery, Mumbai. 1995 - Contemporary Miniatures, The Arts Trust, Gallerie Leela, Mumbai. 2005 – Krishnakriti by Ranjit Hoskote for Kalakriti, Hyderabad. 2004 – The Arts Trust Annual Camp, Mumbai. 2003 – Khoj, International Workshop, Bangalore. 2003 – Residency with Fine Art Resource, Berlin, Germany. 2003 – Visiting Lecturer at the Ecole Des Beaux Arts, Paris, France. 2001 - International Sculptor’s Residency, JACIC, Mumbai. 2000 - Monsoon Magic, Gallerie Leela/Hotel Leela Palace, Goa. 1997 - The Painter’s Workshop, Indo- Australian Conference, Mumbai. 1993 - Shakti, The Arts Trust/ RPG, Mumbai.